Static for me too on Chrome android. Working fine for me on Chrome Android. Cheers guys. Maybe a mod stepped in and fixed something with the post as it's now working for me too. As much as the board is far better without my beating a joke to death, resurrecting it and killing it again, how do I sort out posting from my laptop? The forum did that for me tonight but from my phone. Deleting my cookies and logging in again seemed to do the trick. Haha, that's done the trick, just think how many downvotes you would've got in the good old days for passing on that info! I followed a popular topic yesterday and thought it was odd that I was the only person doing so. Now, after my inbox has been inundated with emails that "x has posted in y", I understand why: notifications for "content I follow" come only by email and not on the site because "the administrator has disabled this option from being toggled". 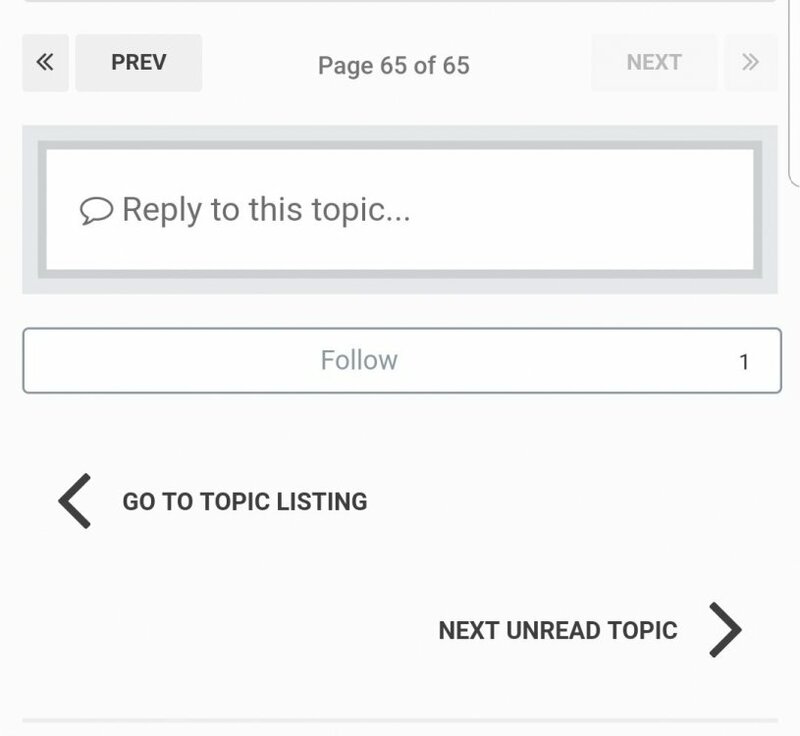 If you choose to follow a topic, you get a new email every time somebody adds a comment. Could you remove this limitation, please @Moo, so that we can choose to get the notifications through the site whilst we're online? The setting is found in Members > Member Settings > Notifications. If I accidentally click "mark forum as read", is there any way to undo that? The navigation at the bottom has changed for me. It used to list which topic I would be clicking under "next unread topic". Yeah I noticed that. I also briefly saw some sort of notice at the top of the website earlier today- something about the layout having expired? Maybe related. Yeah must be related. I'm experiencing some other strange quirks as well since then, but they won't be visible to non mods. We are on the latest major version of the software for invision board (4.4) so there are a few changes. While it was upgrading it threw a few errors mainly due to my own silliness but all done now.